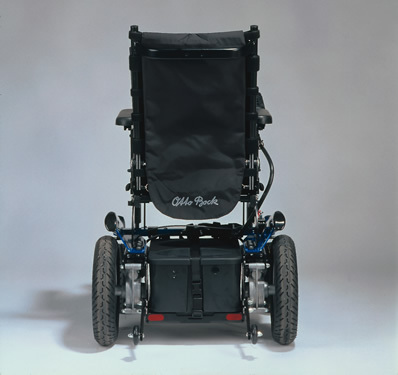 The Ottobock B500’s modular design offers various individual adaptation possibilities including seat height and inclination giving more independence than many other wheelchairs in its class. You have a choice of a 4mph (6km/h) or 6mph (10km/h) versions. There are various different seat height settings with this chair allowing the user to be positioned differently for different activities and allowing the chair to change with the users requirements. This chair has been designed with a modular building block system in mind, with a separate construction of the chassis, seat unit and controller ensuring individual adaptations can be easily made. There are 3 different seating options to choose from these include standard (2” cushion with a canvas backrest), Contour seating, Recaro seating and third party seating is also available. 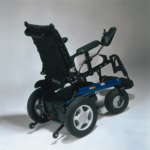 There are a few additional options available that can be added, for example an electrical lighting option, front wheel suspension, a curb climbing assist and many more. B500-S: Always keeping you on track! 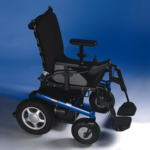 The B500-S front wheel drive wheelchair is just as adaptable as the B500 however it has the added extra of a mechanical stabilizer which will help the powered wheelchair to stay on track, even when driving around sharp corners. 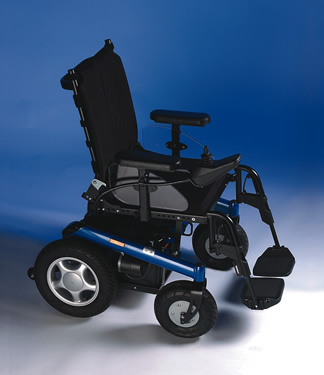 The front wheel drive enables the B500-S to master obstacles with ease, whilst still giving this power chair its safe and dynamic driving style. 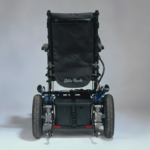 If you have any questions at all regarding the Ottobock B500 or would like to book an appointment to be assessed please do not hesitate to contact us on 0330 0581 008 (Local call rates apply) or FREE PHONE 0800 626 829 or complete the form on this page and we will get back to you.